This passage from Frank Belknap Long’s “The Hounds of Tindalos” may be a direct reference to the existence of multiverses, stitched or linked together not spatially but on a temporal basis, through time. Some evidence suggests that space-time was created as a result of the Big Bang. Additionally, while these universes may be completely inaccessible to one another, at least with what science currently tells us, they may have the common thread of time (see the lower right hand section of illustration below). Thus, if the Hounds can travel outside of space and time, they may have the ability to move from one multiverse to another. This second half of the paragraph sounds like some of the text that Clark Ashton Smith used to document the dissolution of Paul Tregardis in “Ubbo-Sathla.” As Paul gazed into a strange orb-like crystal he, “…seemed to live unnumbered lives, to die myriad deaths, forgetting each time the death and life that had gone before.” Also, “Life by life, era by era, he retraced the long and groping cycles…” These passages indicate that they may be a way for humans to remove themselves out of our space-time and/or perceive the multiverses at the same time, in effect traveling through time. In the case of Paul Tregardis this was accomplished through the use of a strange, milky orb-like crystal, while in the “Hounds of Tindalos” Halpin Chalmers accomplished this with the use of the drug Liao. In each case there was a terrible price to pay. However, these similarities of traveling through space-time through the interconnectedness of a specific entity does beg the question – is there some relationship between Ubbo-Sathla and the Hounds of Tindalos? One of the main points made about the Hounds is that they are residents of “angular time.” Humans, our world and our universe is all structured as curved space-time. While this is an extreme oversimplification, our three-dimensional space is curved in the fourth dimension of time (Nothing: A Very Short Introduction by Frank Close; 2009). As Einstein demonstrated the gravity associated with mass in universe bends or curves light and space. 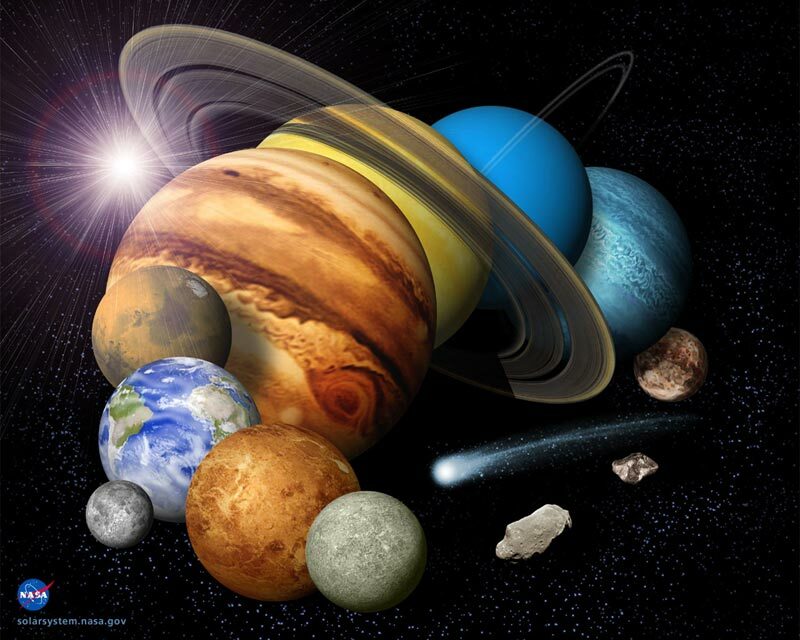 Gravity is also the reason way planets and stars are spherical. In addition, nature itself is very curved. For example, cells are spherical and details measurements of the human brain currently being conducting are using tools associated with curvilinear space. Straight lines are somewhat rare nature while curves clearly dominate the nature world (see below). Another way of describing our curvilinear universe is by calling it non-Euclidean. Thus, we are very non-Euclidean, curvilinear organisms. While nature is very non-Euclidean humans are far more comfortable in Euclidean geometry and engineering. The Euclidean approach to design and building has served our civilization well over the centuries, through the building of the pyramids to the construction of bridges to the design of space probes, we depend on Euclidean mathematics and geometry in our everyday life. We depend on it so much so that when confronted with the non-Euclidean geometry of Cthulhu’s city of R’lyeh we are disoriented and confused (of course complicating this are other distortions in our space-time relative to Cthulhu itself but that is another discussion). So what does all of this have to do with the Hounds of Tindalos? Based on Chalmers use of the drug Liao and his investigations, the Hounds are a form of Euclidean life that is very different from organisms within our curvilinear universe. Thus, while we exist in a curved space-time, the Hounds must reside within an angular (Euclidean) space-time. Chalmers called our curved universe “pure” while the angular universe as “foul.” I think this was more of an anthropomorphic attempt to express the strangeness of the Hounds’ angular, Euclidean universe. If the Hounds are essentially a form of angular life, this would contribute toward the idea that they live outside of our space-time and can only enter our reality through angles. In a strange way, our Euclidean approach to architecture and engineering has made it easier for the Hounds to enter our reality. As our civilization has become more technologically advanced and continues to move more away from nature, the more Euclidean we have become. Think of all of the buildings, structures, machines and devices that now exist. From the world’s largest buildings to the smallest personal devices, there are a countless number of angles for the Hounds of Tindalos to enter our space-time. Is this why many of the Old Ones (e.g. Cthulhu) and other alien civilizations (e.g. Elder Things, Mi-Go) avoid the use of Euclidean geometry? To avoid opening a portal between curved space-times and angular space-times? If the portal was large enough would a collision between universes create another Big Bang? Chilling questions to say the least. Next time we will talk about the “biology” of the angular, Euclidean Hounds of Tindalos. Thank you – Fred. Abhoth, the Unclean and Repugnant – the Origin of Viruses on Earth? Previously we hypothesized that the Elder Things utilized both the strange ultra-stellar stone tablets and some of Ubbo-Sathla to create life on Earth. The stone tablets may have provided the recipe, while Ubbo-Sathla may have been the raw material. It is said that Ubbo-Sathla was deposited onto the Earth by unknown gods, which may have been from a previous or parallel universe. As part of the discussions regarding Ubbo-Sathla, a number of people have asked about the relationship between this entity and Abhoth – another discovery of Clark Ashton Smith’s. First off, Ubbo-Sathla is clearly documented to have existed on primordial Earth, although it is questionable whether any part of it exists today. In contrast, we don’t have conclusive evidence that Abhoth was ever on Earth or even in our Universe. Abhoth is first mentioned in Smith’s “The Seven Geases” which documents events that occurred in Hyperborea, an ancient, northern civilization that is said to have existed between one and two million years ago (The Encyclopedia Cthulhiana by Daniel Harms, 1998). However, there is some debate if Hyperborea was actually an ancient civilization that existed on Earth or if it existed / exists in a parallel Universe such as that similar to the Dreamlands. However, those are topics for future discussions. Some clarification on this matter would contribute toward providing additional evidence one way or another as to if Abhoth is related to Ubbo-Sathla. Abhoth itself is said to exist deep underground in a “slimy gulf in which Abhoth, father and mother of all cosmic uncleanness, eternally carries on Its repugnant fission.” Abhoth is some type of pool of fluctuating, grey, organic, mud-like material that constantly produces creatures and living things that crawl and slither away from it. The further away the grey creatures move away from Abhoth itself, the larger they become, although frequently they are consumed by each other and/or fall back into Abhoth. Abhoth itself appears to be a seething mass of organic material constantly forming organs and appendages such as arms, legs, fins, claws, mandibles and mouths. It is continuously feeding on the things that break apart from it through fission and creep away from the main mass. The few that do seem to escape appear to increase in size the further away they are from Abhoth. At first Abhoth may seem to be very similar to Ubbo-Sathla or even a shoggoth but there are some significant differences. First, by making physical contact with a sentient entity, in the case of Smith’s tale a human, Abhoth can communicate through telepathy. In contrast, Ubbo-Sathla is not known to be sentient (at least as the term is known to humans) or have the capacity to communicate with others. Shoggoths can communicate telepathically with Elder Things but it is not known if can communicate with other species through physical contact, although more than likely this is not case. The shoggoths were probably genetically programmed to only have the capacity to communicate with the Elder Things and each other. Second, Ubbo-Sathla was one seething mass of living, bio-matter, with no recorded ability to reproduce. Shoggoths are distinct, individual entities that usually do not reproduce unless they are “allowed” to by the Elder Things. The exact mechanism the Elder Thing used in this assisted reproduction of the shoggoths is largely unknown, although it tends to be associated with something called the shoggoth pits. Essentially, this means that even binary fission is even quite rare in shoggoths. Those that acquired the ability to asexually reproduce through binary fission were quickly eradiated by the Elder Things. In sharp contrast to both Ubbo-Sathla and shoggoths, Abhoth is constantly undergoing fission, generating sub-organisms that are typically reabsorbed but a few do manage to escape. Third, based comments made by Abhoth itself, it has biologically similarities to life on Earth but admitted that such life (humans) were quite alien to its experience and thus did not want to consume the protagonist in the story for fear of endangering its digestion. Again, this suggests that Abhoth is an alien to Earth and possibly our Universe. In contrast, both Ubbo-Sathla and shoggoths are known to be residents of Earth. So Abhoth is distinctly “alien” compared to Ubbo-Sathla and shoggoths but possibly not as “extra-dimensionally alien” as say the Mi-Go or the spawn of Cthulhu. What could Abhoth be? Since Ubbo-Sathla may have given rise to all prokaryotes (bacteria), eukaryotes (animals, plants, fungi and protists) and super-eukaryotes (shoggoths), Abhoth may have given rise to a very common form of life on Earth and yet is very “alien” compared to the rest of life. In fact, some question whether they can be truly thought of as life – this group of strange organism is the viruses. Viruses are the smallest organisms on the planet, many being 1/100th the size of most bacteria. The number and diversity of viruses on the Earth have been severely underestimated (Microbes and Evolution: The World That Darwin Never Saw, edited by Roberto Kolter and Stanley Maloy, 2012). Additionally, the global pool of viral genetic information, called the virome, may be an important driving force in microbial evolution primarily through horizontal gene transfer. 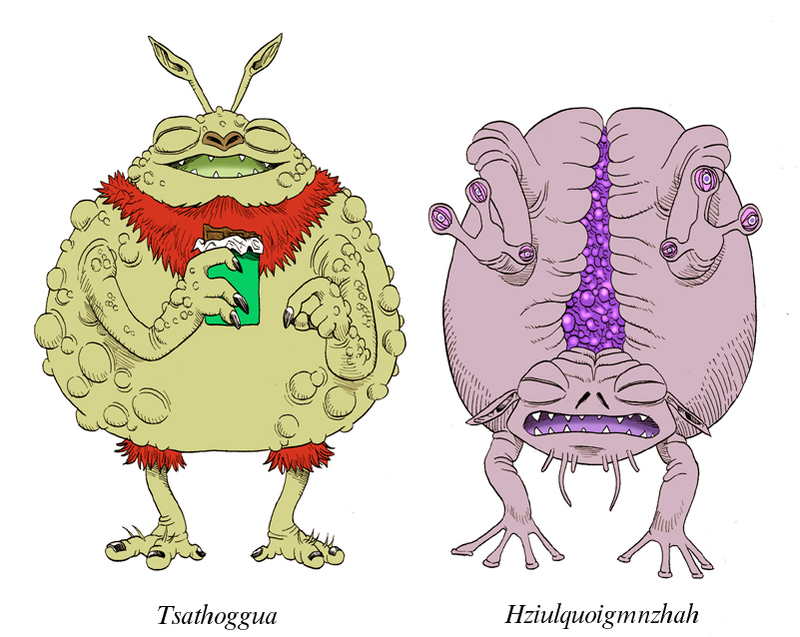 As we have discussed in the past, it is hypothesized that horizontal gene transfer may have been played an important part in the acquirement of increased intelligence by shoggoths over the millennia. Is it possible that Abhoth over time, piece by piece, slowly shrank in size as parts of it broke apart and spread throughout the world? In turn, over the centuries Abhoth may have eventually dissipated until it was the virome, strands of RNA and DNA encased in a protein shell, wholly dependent on the life of Earth to replicate and survive – viruses. An alternative hypothesis is that Abhoth may be an asexual, evolutionary decedent of Ubbo-Sathla or possibly being a piece or fragment of Ubbo-Sathla that was no useful by the Elder Things in creation of new life. Related to this, yet another hypothesis is that Abhoth was another failed bioengineering experiment of the Elder Things, cast away into Earth’s biosphere since it was not considered a threat to them. In any event, until we know more about the origins of Abhoth itself or possibly conduct a tissue examination / comparison between Abhoth and shoggoths (and if possible Ubbo-Sathla?) we may never know the true relationship, if any, among these entities. Next time we will finally turn back to a discussion of H.P. Lovecraft’s “The Lurking Fear.” Also, I want to say thank you to everyone who has contributed toward the Kickstarter for the second volume of the Journal of Lovecraftian Science. We reached our goal a few days ago – thank you very much! Fred. Based on the existing information to date, it is hypothesized that the Elder Things utilized both the strange ultra-stellar stone tablets and some of Ubbo-Sathla to create life on Earth. Depending on when the Elder Things arrived on early Earth they may have created all life on Earth or bio-engineered eukaryotic cells from simple prokaryotic cells (bacteria) that may have been directly produced by Ubbo-Sathla. The stone tablets may have provided the recipe, while Ubbo-Sathla may have been the raw material. It is said that Ubbo-Sathla was deposited onto the Earth by unknown gods, which may have been from a previous or parallel universe. Thus, the fact that over millennia the Elder Things “forgot” how to create life may have been due to them simply misplacing the stone tablets and/or not having enough of Ubbo-Sathla to create additional life. Further it was hypothesized that the proto-shoggoth may be the last remaining fragment or part of Ubbo-Sathla; a feral, uncontrollable force from the universe’s distant past that even the Elder Things could not control and therefore feared. Even though we humans have not read the ultra-stellar stone tablets, we may not be that far away from creating life. The Miller-Urey experiments in the 1950’s, demonstrated that simulating the Precambrian atmosphere and ocean in laboratory glassware, essentially combining water, nitrogen and carbon monoxide with electrical sparks to mimic lightning, results in the production of a brownish sludge that contains sugars, amino acids (building blocks of proteins) and nucleotides (building blocks of nucleic acids) (The History of Life, A Very Short Introduction, by M.J. Benton, 2008). The stuff of life made in a bottle. Is this stuff essentially what Ubbo-Sathla was made of? A semi-sentient form of bio-matter that was deposited onto ancient Earth by unknown beings? While we can easily make the building blocks of life, can we create self-replicating systems, enclosed in a selective permeable membrane (a cell)? We are getting closer. Scientists have been successful at creating protocells in the lab, which are simplified models of cells that provide the means of studying the origins of life. The development and use of such protocells may be how the Elder Things may have mastered the ability to create life. To date protocells can be created by humans that are bubbles or sacks of bilayered members of lipids plus proteins that selectively allow materials to pass into and out of the protocell. While these protocells have the ability to copy and build upon genetic material, to date they have not be able to create an original strand of genetic material (Dr. Jack W. Szostak, Journal of Nature, June 2008). We are a long way from creating an actual cell that has the ability to produce and copy genetic material, as well as be susceptible to genetic mutations (the raw material used by natural selection in the process of evolution). Ubbo-Sathla may have been a collection of a more advance version of protocells, utilized, manipulated and experimented upon by the Elder Things. Next time we will compare Ubbo-Sathla to Abhoth, a strange protoplasmic-like entity found in Clark Ashton Smith’s tale “The Seven Geases.” Also, if you are interested in more Lovecraftian Science please check out our currently running Kickstarter (https://www.kickstarter.com/projects/1081353216/journal-of-lovecraftian-science-volume-two). The Journal of Lovecraftian Science, Volume 2 will focus entirely on our Lovecraftian solar system. Thank you – Fred. Previously we discussed how Ubbo-Sathla is a seething sea of slime found on early Earth and obliviously guards the tablets of the gods. As an archetype of proto-life on Earth it is hypothesized that Ubbo-Sathla was the original material used by the Elder Things to create complex life on Earth, including the shoggoths. In fact, Ubbo-Sathla, or at least a piece of it, may have been the proto-shoggoth mentioned toward the end of Lovecraft’s At the Mountains of Madness. The Elder Things arrived on Earth sometime between 4.0 and 2.5 billion years ago (S.T. Joshi, 2001). The oldest microfossils of bacteria are estimated to be as old as 3.43 billion years old, while the oldest microfossils of eukaryotic cells are estimated to be around 1.85 billion years ago (Benton, 2008). Thus, if Ubbo-Sathla was on Earth before the Elder Things, it is entirely possible that the Elder Things utilized material from Ubbo-Sathla and its sea of slime to engineer prokaryotic cells (archaebacteria and eubacteria), the more complex eukaryotic cells (plants, protists, fungi and animals) and super-eukaryotic cells (shoggoths). Additionally, the instructions or “recipe” for the creation of life from the organic sea of slime may have been inscribed on the tablets that Ubbo-Sathla was guarding. It has been alluded by Clark Ashton Smith that the gods who left their wisdom and lore upon the ultra-stellar stone tablets may have been residents from a previous or other universe. This suggests the hypothesis that life itself, at least on Earth, may not have originated in our universe but came from another, only to be deposited as “slime-seeds” in the form of Ubbo-Sathla. The Elder Things stumbled upon this sea of proto-life slime on Earth and used both the instructions and material to create life on Earth. This may also explain how, over the centuries, the Elder Things would have lost the ability to create life from this raw material. A combination of exhausting the supply of Ubbo-Sathla material, as well as losing the ultra-stellar stone tablets that outlined the methodology, could have easily resulted in the Elder Things losing the ability to create life. In addition to the origins and use of Ubbo-Sathla in the creation of life on Earth, a brief mention should be made of the technology associated with time travel, as experienced by Paul Tregardis with the use of the strange milky crystal. As has been discussed in past articles, time travel may only be possible through the transport of a consciousness. Removing an actual, physical entity from one portion of the timeline and depositing it into another may not be possible without either disrupting that timeline for a new one or the destruction of the traveling entity. Thus, a way around this would be to transport a consciousness through space-time and have it displace an entity living’s consciousness in that desired timeline. This methodology is employed by the Great Race of Yith in their space-time travels. In Lovecraft’s The Shadow Out of Time, the Yithians, in an effort to avoid extinction, moved their entire collection of minds “en masse” into an ancient species on Earth called Cone Shaped Beings (CSBs), switching physical bodies with that species. Combined this symbiotic entity was called “The Great Race.” This transfer of one species consciousness into an others was done through time as well as space; specifically, the Yithian minds flow back through time to ancient Earth to inhabit the bodies of the CSBs. The Yithians were known to use strange technology, based on some type of crystalline material, to communicate with others of their kind through space-time. Perhaps this same type of technology was used to transfer their minds through time and maybe this is what Paul Tregardis stumbled upon when he found the strange milky crystal in that curio shop in Clark Ashton Smith’s tale “Ubbo-Sathla.” What is most interesting, as I have discussed in past articles, is that this transfer of one’s collective consciousness into another vessel may be feasible for humans in the future. In The Future of the Mind: The Scientific Quest to Understand, Enhance, and Empower the Mind (Michio Kaku, 2014), Kaku states that sometime in the distant future it may be possible to “reverse engineer” the human brain (which means reproducing a product – in this case the brain – following a detailed examination of its parts) and download this consciousness into some type of supercomputer. Once a mind is digitized and downloaded into a device, it may be possible to transmit these minds into space-time on a laser beam. As Kaku points out, trillions of pieces of digital data are transmitted routinely on laser beams via fiber-optic cables every day. The wavelength of a laser beam is microscopic and you can compress vast amounts of information on its wave pattern; even more data can be transferred onto a beam of X-rays, which has a wavelength smaller than an individual atom (Kaku, 2014). The crystalline technology of the Yithians may do exactly this; downloading their minds into the crystal’s configuration and then using laser beams or X-rays (or even gamma rays?) to beam them into some type of controlled microscopic wormhole that opens up hyperspace and then downloads the data into another device or compatible organism. So what happened to Paul Tregardis’s consciousness when it was transferred into Earth’s distant past? Well first, his consciousness became merged with other past consciousnesses as it traveled back through time, which may have “mudded” his consciousness signal. Second, and probably most important, is maybe Paul’s consciousness ended up being transferred into Ubbo-Sathla and the human mind is just not compatible with this entity. The result was a consciousness that lost all sense of “self” and became part of the blind spawn within the sea of slime that is Ubbo-Sathla. Before we move onto another subject, the next article will briefly discuss the potential mechanisms that may have been utilized by the Elder Things in creating the first life on Earth with Ubbo-Sathla. Thank you – Fred. After re-reading Lovecraft’s “The Lurking Fear,” I realized there two matter to discuss relative to science. The first is Lovecraft’s use and misuse of the Theory of Evolution and the second is the pseudo-science of race and racism. I have discussed evolution a number of times on this site but in order to clearly identify the general misunderstandings associated with evolution (not just from Lovecraft but in general), I would like to discuss Clark Ashton Smith’s story “Ubbo-Sathla.” It is in this short story that Smith’s help to demonstrate the only way “devolution” can actually occur. In its simplest terms, evolution is “change over time.” Time is an extremely important component in the concept of evolution and is frequently ignored. Evolution does not occur within an individual but within populations; populations breeding over successive generations producing offspring where favorable genes (and thus the traits associated with those genes) remain in the populations while unfavorable genes are weeded out over time. However, environmental conditions (climate, temperature, light, habitat types, competitors for food, predators, parasites, etc.) are dynamic and always changing; thus, the favorability or unfavorability of traits change over time, which means traits are always trying to adjust to changing environmental conditions. In a nutshell that is evolution. Frequently terms like “primitive” or “advanced” are used to compare various species. Since the definition of these terms (at least within the concept of evolution) are directly linked to temporal scales, they can be used to compare say a horse of today (of the genus Equus) to the smaller odd-toed ungulate, horse-like mammal Hyracotherium (now called Eohippus) that appeared in the fossil record approximately 52 million years ago. Thus, the large horses of today are advanced compared to the primitive, smaller Eohippus creature. However, you can’t say that a horse of today is more advanced than a horseshoe crab of today. They are different, one is a vertebrate one is an invertebrate. You can also say one has been on the Earth longer than the other; horseshoe crabs have been around for approximately 450 million years, while horses have been around for approximately 55 million years. Thus, we can say that horseshoe crabs have been on Earth longer and have a more ancient, ancestral lineage than horses but it does not mean they are more primitive than horses. Anything living in the present is more advanced than anything that has lived in the past. An ancestor of the modern horse, Eohippus (previously known as the genus Hyracotherium) was a smaller, odd-toed ungulate. Lovecraft liked to cite a degeneration in evolution in his stories (more on that when we actually talk about “The Lurking Fear”); however, any adaption that results in a species thriving and producing more offspring cannot be thought of as a degeneration (from a biological point of view). For example, blind cave-dwelling fishes or shrimp are not degenerative or primitive organisms relative to non-cave-dwelling species just because they cannot see or do not see very well. Those organisms are specifically adapted to a life in darkness and instead of relying on sight, their other sense are enhanced. This is not degeneration; this is an adaption to specific conditions over successive generations through natural selection. So is degeneration or “devolution” possible? Only if you can reverse time and that is where Clark Ashton Smith’s “Ubbo-Sathla” comes into play. In the tale, Paul Tregardis purchases a strange milky crystal that has the ability to transfer his mind back in time. Is it possible that this palaeogean, orb-like crystal flattened at the poles is some residual technology of the Great Race, which allows them to transfer their minds through time and space? In any event, by studying the orb Paul’s mind is initially transferred into that of the sorcerer Zon Mezzamalech in primeval Mhu Thulan, located in the northern regions of ancient Hyperborea (today thought of to be part of Greenland). There, while in the sorcerer’s mind, Paul read from The Book of Eibon about Ubbo-Sathla. In that tome Paul / Zon read of how the orb-like crystal could be used to behold many visions of our universe, including Earth’s ancient past “…when Ubbo-Sathla, the unbegotten source, lay vast and swollen and yeasty amid the vaporing slime…” Ubbo-Sathla appears to be a proto-form of life on Earth. Apparently, wisdom of the gods who died before the Earth was born (is this a reference to beings from a previous universe? ), “passed to the lightless void,” left their wisdom and lore upon tablets of ultra-stellar stone. These stone tables are guarded by Ubbo-Sathla. It is suggested that these tables provide information on the creation of life and possibly the creation of matter or even new realities. The being Paul Tregardis / Zon Mezzamalech wanted this ancient knowledge. Is this where the Elder Things obtained the information to create life? Is Ubbo-Sathla a precursor to the proto-shoggoth? Through a series of attempts Paul Tregardis / Zon Mezzamalech go back in time, through the millennia to obtain knowledge off the Ubbo-Sathla’s tablets. They move back through time, from the fall to the rise to the beginnings of the Mhu Thulan empire; they also move further back, occupying the minds of a barbarian of some troglodytic tribe, various dinosaurs and then the lost serpent-men of the ophidian era. The key to this traveling backward through time on Earth is the following passage. “And the thing that had been Paul Tregardis, that had been Zon Mezzamalech, was a part of all of the monstrous devolution.” This is the proper usage of the term devolution – evolution backward in time. Unfortunately, this backward traveling through time ended in a “vast, chaotic marsh, a sea of slime, without limit or horizon, without shore or elevation, that seethed with a blind writhing of amorphous vapors.” This grey oozy sea of slime, with no organs or organelles, appeared to be a large pre-prokaryotic archetype of proto-life on Earth. This may have been the organic matrix, the discarded experiments of beings from the previous universe, that the Elder Things used to create life on Earth. Unfortunately, the thing that was Paul Tregardis / Zon Mezzamalech forgot about the ancient knowledge and obliviously crawled across the “tablets of the gods, and fought and revened blindly with the other spawn of Ubbo-Sathla.” It appears that if you are part of the “chain of life on Earth” that the knowledge on the tablets is unobtainable due to the process of devolution. But what if you are not part of Earth-bound evolution like the Elder Things or the Great Race? Next time we will talk about the time travel aspects of Ubbo-Sathla and after that we will get into Lovecraft’s “The Lurking Fear.” Thank you – Fred. I could find only one reference to the planet Neptune in Clark Ashton Smith’s stories and it was one that was already mentioned in the discussion on Jupiter. “Sadastor” is a short tale about a demon telling a story to a depressed lamia to cheer her up. In it he talks about traveling through the solar system, which includes a daring flight through the clouds of Jupiter. In that same passage the demon also refers to “the black and freezing abysses of Neptune, which are crowned with eternal starlight.” Is this strange description somehow related to HPL’s Neptunian fungi? While not directly related to Smith’s description, more evidence of HPL’s white fungi is provided below. The only other mention of Neptune in Smith’s writings that I came across was in a little article he wrote called “The Family Tree of the Gods,” which you can find on http://www.eldritchdark.com. In it Smith provides some information on the family history of some of the “Elder Gods,” which include members of his own mythos as well as those of HPL. In the article he talks about how Hzioulquoigmnzhah (uncle of Tsathoggua, who we met on Saturn, called Cykranosh by the natives, in “The Door to Saturn”) left his home world in order to avoid being eaten by his parents. He ends up on Neptune (called Yaksh – by the natives I assume) but wearying of the strange religious devotions of the Yaksahians went on to Cykranosh. Are the Yaksahians the same group of white fungi that feed off of the atmospheric winds of Neptune or are they an entirely different race of Neptunians? Only HPL and CAS know for sure.